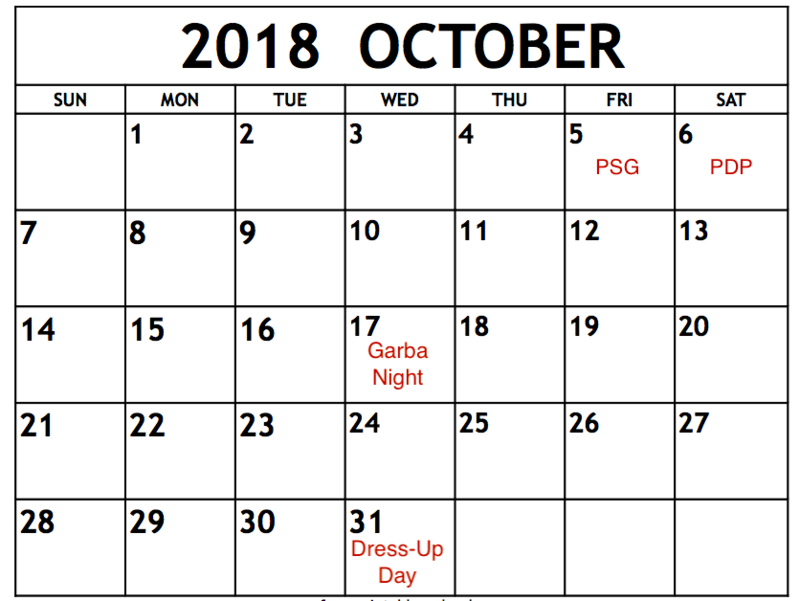 This month started with the first sports league of the year! With another opportunity for the Red Predators and Blue Beasts to win points for their houses, the dedication and hard work was at its peak! 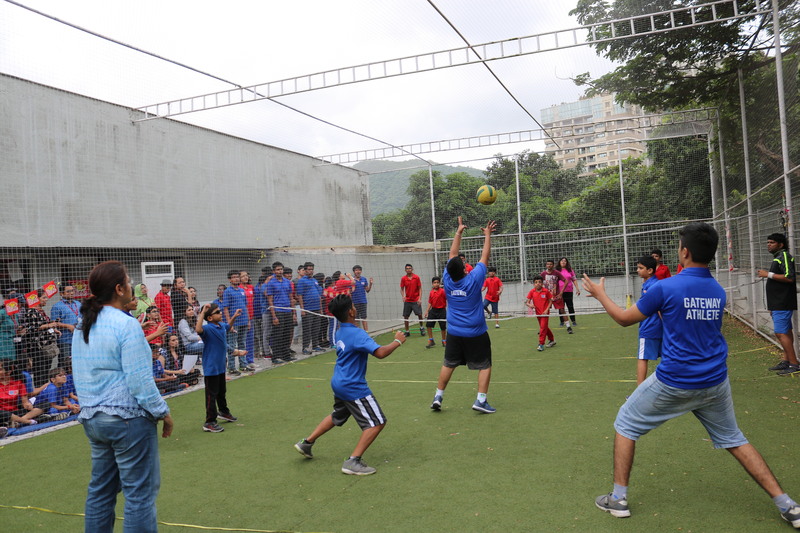 A big shout out to students, parents and the Gateway team for all their effort, hours of practice and support to make the Throwball League such a success! Congratulations to the Blue Predators for winning the overall competition, and the Red Predators for their unwavering determination! Grandstand where they showed us a video made with the help of a few parents. 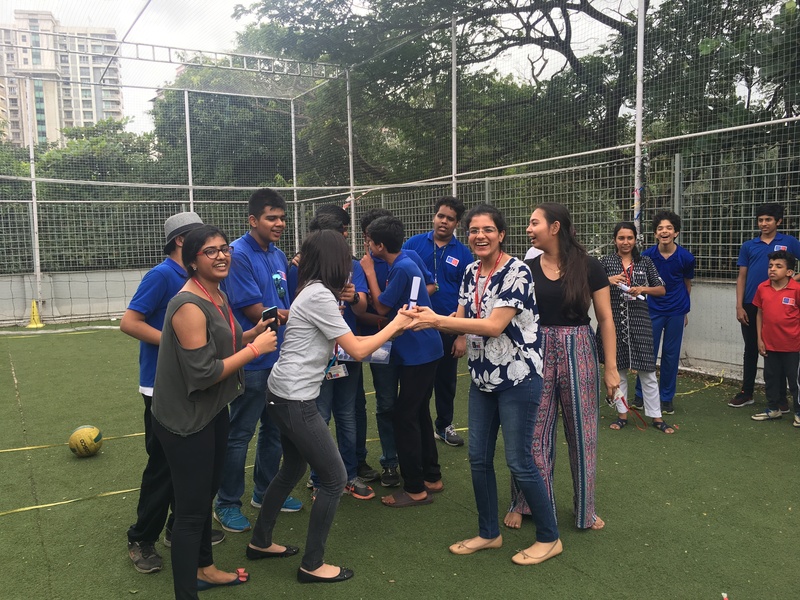 What followed was a round of “Family Feud” and throwball where Red Predator teachers played against Blue Beast teachers! This was our first ever student-led Teacher’s Day and it left all Gateway staff extremely proud of our students for their thoughtfulness and superb organisation! 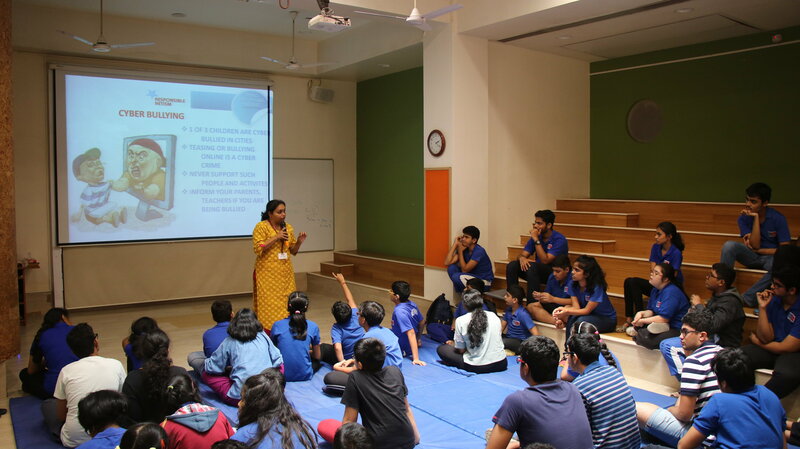 The founder of Ahaan Foundation, Ms. Sonali Patankar conducted a session to educate our middle and high school students on responsible online behaviour, cyber wellness, misuse and overuse of technology, cyberbullying, online gaming, stalking and its implications on the youth. The focus on the session was to inform and make the students aware about the sensitivity and legality of these issues that we currently face. The foundation will soon conduct a session for parents on issues involving cyber safety. The ‘Dress-Up Day’ theme for this month was superheroes! 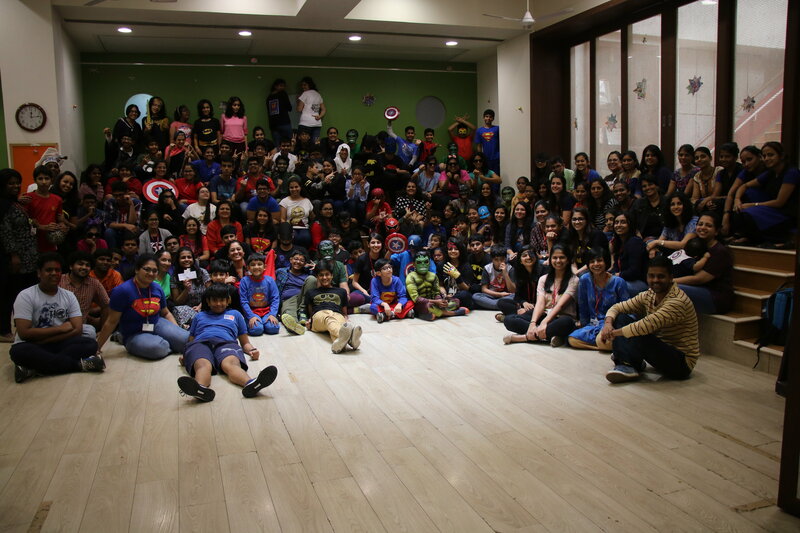 Our campus was the safest place in the city on 7th September with so many superheroes present in school! 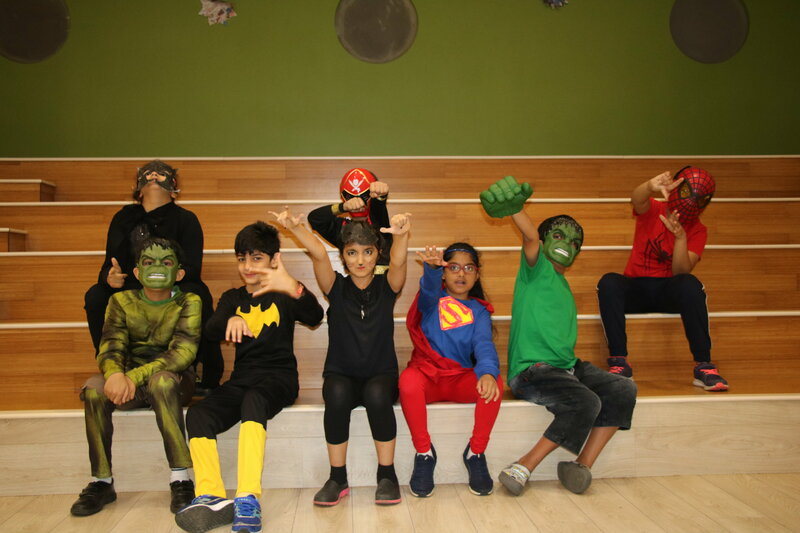 The students and teachers had a blast dressing up as some of their favourite heroes. 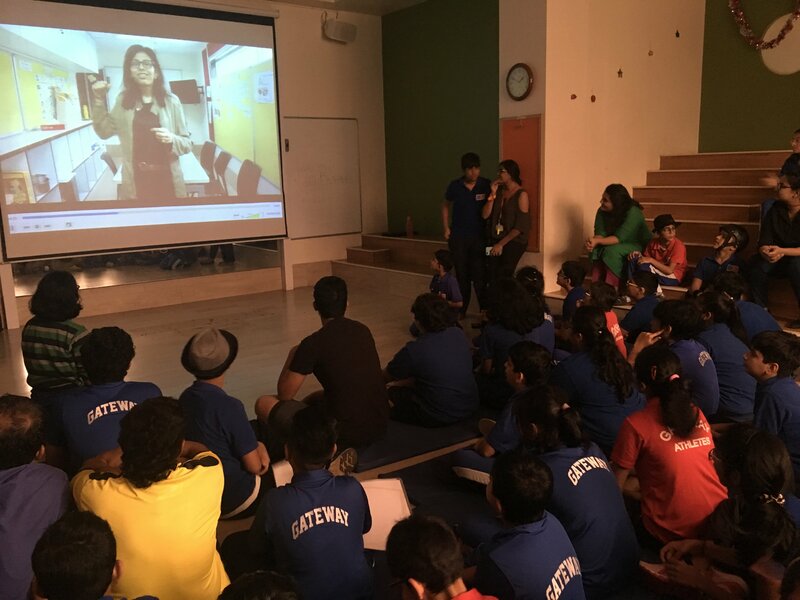 Mr. Mozez Singh, a director, writer and film producer interacted with our middle school and high school students during Grandstand. 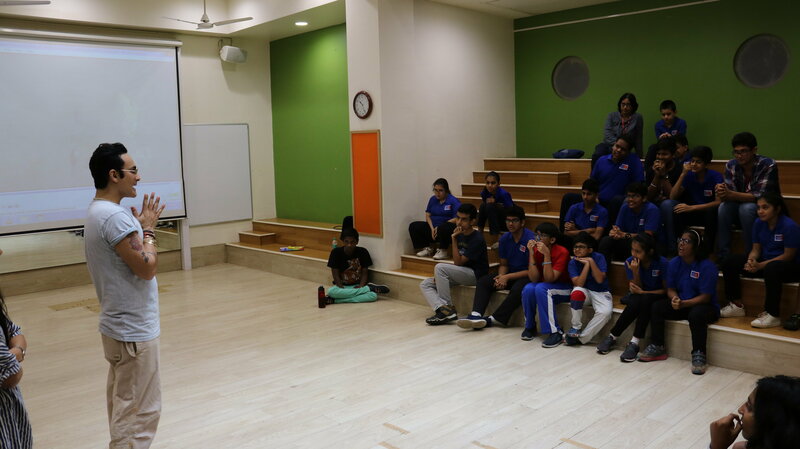 He introduced our students to some of his acclaimed works like ‘First Period’ and ‘Zubaan’. He then explained to the students the different facets of filmmaking, like script writing, directing, cinematography, video editing, production and acting. Seeing how keen the students were to learn more, we started a project during Grandstand called “Movie Makers Club”. The students were divided into teams with one or two teachers supporting each group. After learning in detail about the duties and responsibilities of different roles, they chose which role suited them best and pitched that to the rest of the team. 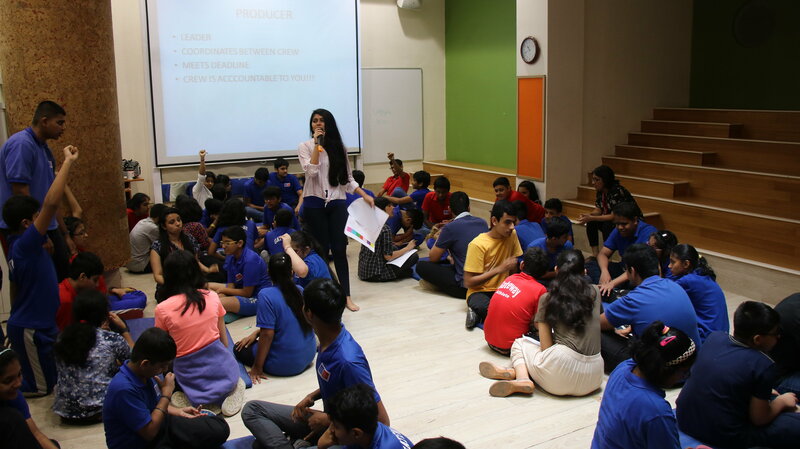 Once the roles were assigned to each of the members, the teams started brainstorming script ideas and sharing with the rest of the group. Over the course of the next few weeks, the teams will work on finalising the script. We are super excited to see where this leads! "I liked the event because, I got chance to interact and encourage all the kids there." "The event was amazing. 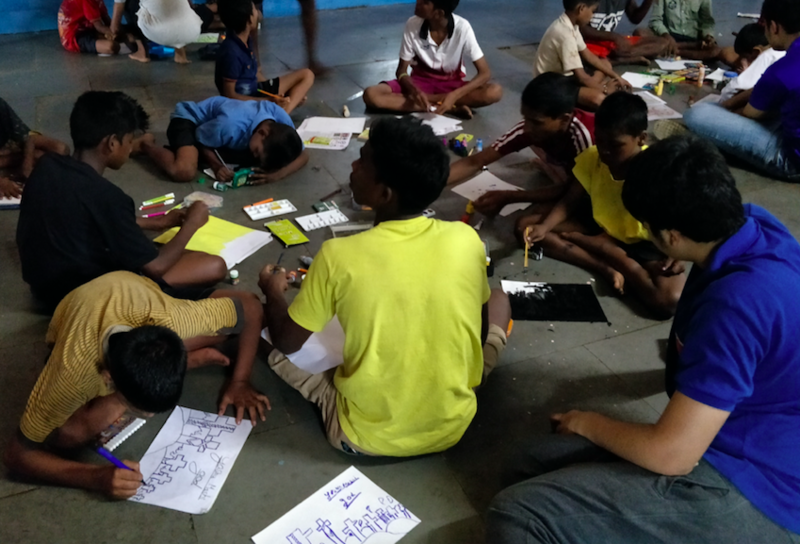 I learnt a lot especially to help the kids brainstorm ideas around the theme." As a part of the High School Adaptive Program, the Gradiators and Infiniteens visited Aditya Agro Farms in Shahpur. They have been learning about Maharashtrian culture and this visit helped them to highlight the key elements of it. 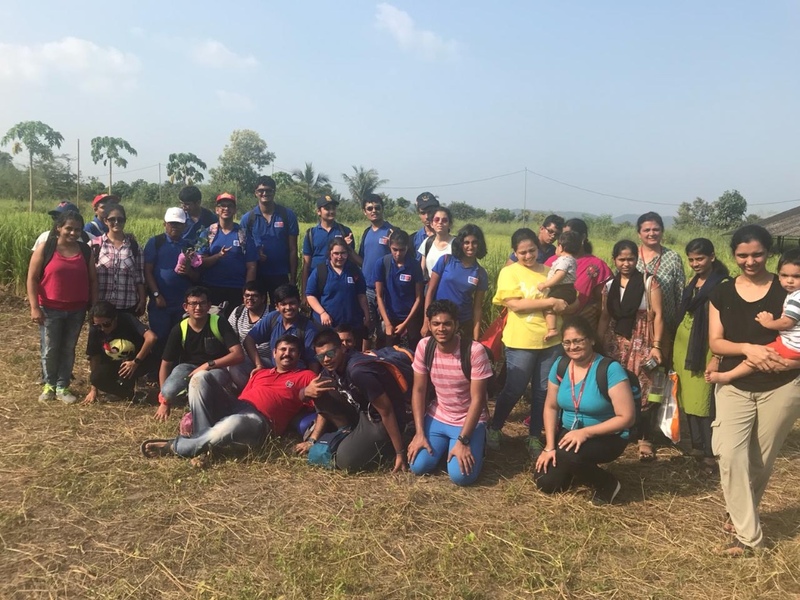 The students went for a walk, learning a little about the paddy fields, irrigation and other produce cultivated on the land there. 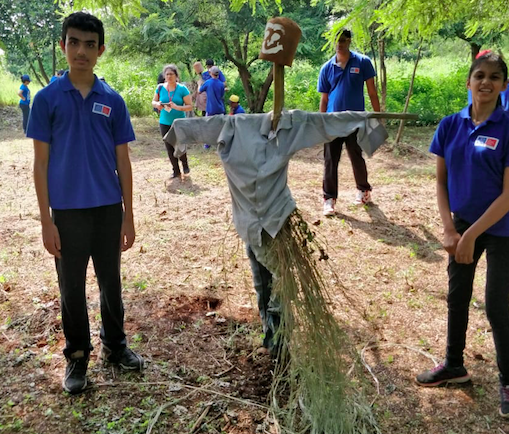 They had a scarecrow-making competition and the groups gave it their all to make their scarecrow stand tall and handsome. The day ended with a reviving drink, hot pakodas and group photos! All in all, the field trip was definitely enjoyable and a simplistic life away from the city left a good impression on the students. A large number of parents attended our second PSG of the year, which was themed ‘What defines you!’. This session focussed on the importance of loving and being comfortable with oneself and concluded with highlighting that everyone should celebrate small and big personal victories. 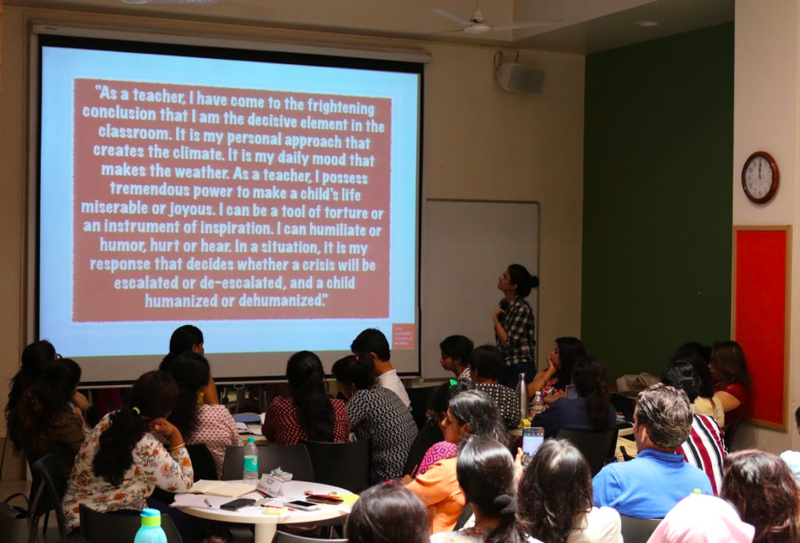 Gateway teachers Ms. Salome D’sa, Ms. Yesha Doshi and Ms. Khadija Rangwala attended a workshop at TISS (Tata Institute of Social Sciences) conducted in collaboration with Kings College, London, on 'Dyslexia and English Language Teaching' on 10th September, 2018. The workshop was conducted by Dr. Bimali Indrarathne from King’s College London. This workshop gave them an opportunity to learn more about Dyslexia and its effects on language learners and a few strategies to teach grammar, vocabulary, and language-related skills to dyslexic learners. They were also introduced to resources, tests to identify dyslexic learners, and classroom management techniques. Counselling Department Coordinator Ms. Manika Khanna attended a two day workshop organised by CAIE (Cambridge Assessment International Education) and TAISI (The Association of International School of India) on Understanding Impact. The workshop focused on defining what impact means in our context and how we can assess the outcome of the various structures we use at the classroom and whole-school level. Our fourth PDP workshop on 8th September included sessions on Child Study and IEPs(Individualised Education Plan), Foundational Behaviour Supports (Respect, Rapport, Classroom Contracts), Building Fluency in Reading, and Using Technology to Support Instruction and Assessment in classrooms. 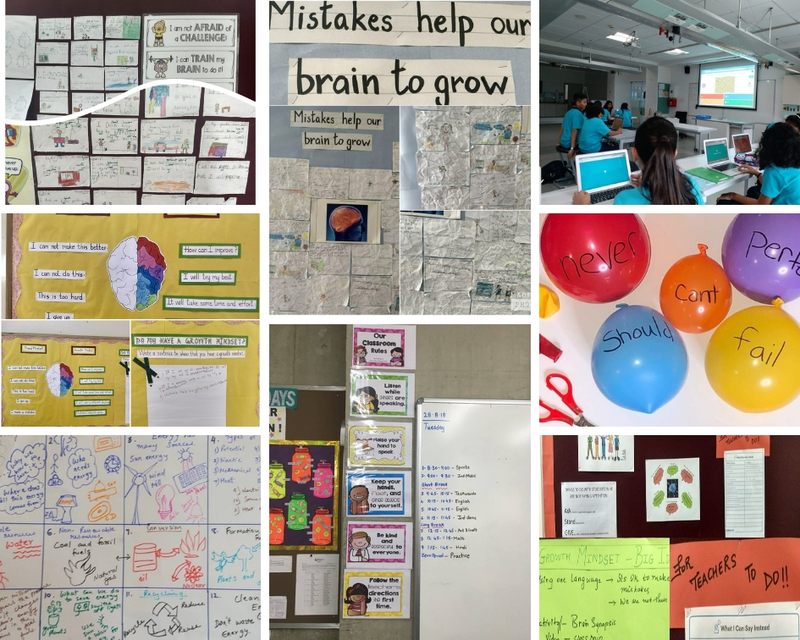 We are incredibly happy to see the participants continue applying strategies, tools, attention grabbers, activities and techniques covered in the workshops within their classrooms! One of the participants even wrote to us saying that she has proposed to share her takeaways from PDP sessions, in a workshop at her school! We wish her all the best for this initiative! Mr. Allan Anderson, the Founder of Ørestad Gymnasium, Copenhagen, visited Mumbai to check out a few innovative and effective school models in our city. He is currently the Director for School Development in Bhartiya City, Bangalore, working on starting a K-12 school that will open in 2020. A team of social workers from Ummeed Child Development Centre, who work with children with developmental disabilities visited our school to learn more about our teaching methods and campus. This month, we also hosted 8 visitors who came to Gateway to observe teaching practices. A warm welcome to Ms. Mayuri Rajput who will be interning with us until the end of this academic year! We bid farewell to Ms. Anuradha Anand and wish her all the best in her future endeavours.